It’s time to come clean: a few years back, I was addicted to the cycling management game Pro Cycling Manager. Literally, days of my time were devoted to taking on a small, low-budget team and, through a process of ‘uncanny’ talent spotting, rider development and successful sponsor negotiation, I slowly built it up to be one of the world’s top teams. For me, it fulfilled a fantasy that many a cycling fan has: managing their own cycling team. It’s easy to romanticise about it. How you’d get the best out of a limited set of resources, how you’d race smart to win against-the-odds in big races and how you’d spot and nurture riders that then go on to be world-beaters. But what would it really take to start and run a cycling team? One person who knows is Matt Hallam. 18 months ago he set up a new business, Crimson Performance, “a platform for power-based testing, training and professional bike fitting”. And to help promote the new business, he decided to set up an elite-level cycling team at the same time. This was no straightforward task. For a start, he had no experience of running a bike team before. He was also doing this all by himself, alongside his day job of running his newly-established new business. Oh, and he had just eight weeks to get things in place so that he could register a team for the 2018 season. Eight weeks. To find sponsors, to find a team of riders, to sort out paperwork, admin and lots more besides. Eight. Weeks. And do you know what? He did it. And not only that, but he impressed his sponsors enough in his first season that he has more than doubled the team’s income for the 2019 season. Tell me about the idea for the team. When and how did that come about? So, we launched Crimson Performance a year ago. One of our goals was to have a race team running alongside our business. Crimson Performance is a platform for power-based testing, training & professional bike fitting in the UK. We developed two pieces of software from scratch to analyse riders power data. We hope that we’ve been able to innovate by creating digestible information for people who don’t want to be baffled by the science behind power numbers. We felt that having a race team would be a great vehicle to create outreach for our platform. We wanted to have a team of riders who were racing and training with power meters to test our software out, provide feedback and make our products better. The riders played an important part in shaping the outcome of the Crimson Performance platform. And so the idea of the racing team was always part of your business plan? We’ve got a bigger picture with the team but having a race team does help to create the outreach for a business. Our marketing budget isn’t huge, so we needed to find other avenues to create awareness around what we are doing. As a team we have a unique offering; the riders benefit from our platform and services which also feeds the growth of the team. We hope that followers of the team could turn out to be potential Crimson Performance customers. The race team was always one of our goals when we first put pen to paper with getting Crimson Performance off the ground. And we’re just lucky enough to be able to actually do it. So in terms of actually getting the team set up then, you had a lot of contacts already, which I guess must have been invaluable? Through my job, as a professional bike fitter, I’ve been exposed to a lot of clients across my seven years of fitting. I can say that about 70 percent of the sponsors on our team are clients of mine from the fit studio. It’s all a synergy between what I do for a job and what this race team is. What about the logistics of actually setting it up? If you only set Crimson Performance up 18 months ago, presumably you essentially had six months or so to get the team ready for the 2018 season? Yeah, I had an incredibly tight timeframe to be able to put proposals out there and generate cash sponsors. I had a window of about eight weeks, so it was a hell of a lot of work. Basically, I was trying to sell an idea. That’s all I had, it was an idea. I had no imagery, I had no team kit, I had no sponsors and I had no riders. But what I had was an idea, and what I had was a vision, a strong vision for the team. And you know, the sponsors that invested in us resonated with that, and they could see my passion for doing this and they could see how professionally I run things. That’s always stood me in good stead with this, the fact is that the sponsors trust me completely. They know that what I do is very organised, highly professional, and that’s testament to us growing as a team. It just simply wouldn’t work if it wasn’t that way, nor would we ever be able to get the amount of sponsorship we have, if the team wasn’t run by clockwork. And that’s just me. That’s just me that runs it like this. So, it’s a huge investment of time, but when businesses are investing their money into the team, then you have to give it that time. So when you were sending out proposals to sponsors, what did they look like? We tried to do our best with what we had and this was such a big learning process for me. I was sending basic proposals out on emails. Our proposal now looks significantly better than it did last year. But you know, the vision was there anyway. It was what we wanted to create: we wanted to have a Northwest-based race team, that was a vehicle for riders that were based locally to progress through to the professional ranks. That’s the vision and that’s what we aimed to do. We also created a strong identity, being up here, based in Manchester. A lot of the businesses that came on board to sponsor us are North-West based businesses. So, the fact that we had that strong regional identity really helped. And I think it was that sort of work that I put in in that eight weeks. I invested hundreds of hours in that time. It involved some very, very late nights putting together specific proposals for sponsors, and driving a long way to meet certain ones. But that’s what got us here, so it is a huge amount of graft to get a team started. I was meeting sponsors that expressed even a little bit of interest. I’d follow up every single lead that I had, so nothing got missed, absolutely nothing. But obviously the other thing was to try and source the riders as well. Because it was a brand-new team, I had no one riding for me, so I had to try and persuade riders to come on board and I was able to do that as well. It was a busy two months, but we managed to pull it together and we managed to get agreements signed. The relationship I had with clients of mine stood me in very good stead, because I had that strong relationship with a lot of them already and they trust me. They know that I would stand firm behind what I was suggesting. So, I think that really did help put me in a position where I maybe had a, you know, the opportunity and chance to do this. Because without those contacts, I would never have had this opportunity. When you were going out to sponsors, did you have a budget in mind? Yeah, you have to have a figure in mind to run a race team. When you’re starting off, building a race team from complete scratch, there is no pre-existing foundation there, you have to be realistic. So, we were realistic and we set ourselves a goal of trying to accumulate £10,000 in our first year. 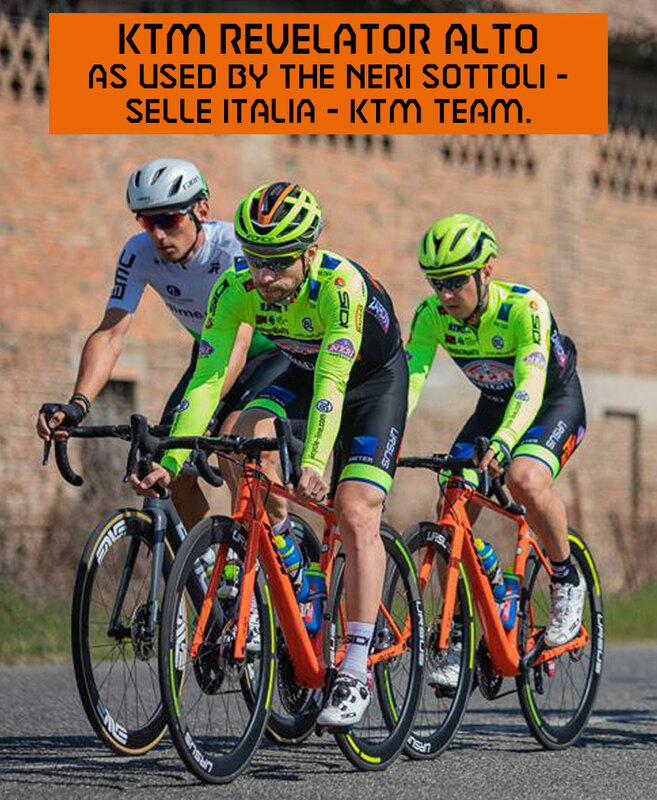 We felt that that figure would allow us to support race entries, it would allow us to support team clothing; the kit that the riders are wearing to train and race in. It would allow us to invest in a little bit of the infrastructure of the team as well. So, it was absolutely on a shoestring, but we managed to do it. We gave our riders a lot of opportunities, and we paid for a lot of their race entries. We invested 40 per cent of our money into race entries, so a lot of money, considering that we spent nearly 35 per cent of it on team clothing. In our first year we wanted to race as much as possible and I incentivised that by offering riders subsidised race entries. We paid for all that, the Tour Series rounds, all the Premier Calendar races, lots of national B and regional road races, criteriums. It was a massive spectrum of races that we covered, but our riders really appreciated that. We were able to create a bit of a presence at those races. And you know, people maybe were thinking, “Who are these guys? They’re a brand-new team and they’re running on a complete shoestring.” But that’s what it takes to do this, because you have to start the project somewhere. Our goal for the first year was to establish a team and we did that. If you have more money than that, then great, if you have a bit less, then you can still make it work. But you have just got to be very, very savvy with how you invest the money. So when you were going out to sponsors, what were you asking for? Was it a case of just asking them if they can they contribute, and then discussing where they are placed on the jersey and so on? Yeah, exactly. It was all a case of agreeing terms on how much exposure they got on the team kit, we didn’t have a team car, so we couldn’t offer anything on there. It was purely the kit. So the kit was the bargaining tool. The more prominent the logo position, the more money it was. It was as simple as that. We had packages in our sponsorship proposal, which ranged from a couple hundred quid into the thousands, but it was relative to the amount of exposure a sponsor would get on the kit. That’s all we could really offer, so that was our tool really. You know, we were selling positions on the jersey. That’s what we were doing. And then your offer to the riders was what? My offer to the riders was that I would support them with a lot of race entries, I’d support them with kit and by kit, I mean clothing. I would also support them with fitting, and training support, and access onto our online platform. So that was very much it – you have to remember, we were starting this from scratch. We always had a mission statement to never overpromise and under deliver with anything. We wanted to be completely honest from the outset. We didn’t want to promise riders that we’d get them X amount of races in a year, or a team bike. We delivered on what we said we would do, and that’s why a lot of the riders appreciate our honesty; they know what they’re going to get, and that’s what they receive. So the bikes and all that kind of stuff, they needed to buy themselves? What about staff and volunteers to help with running the team? I’d imagine on race day, ideally you need people on the ground to help with the team. How does that side of things work? It’s just me that runs the team on a day to day basis. So, it was very much a baptism by fire for me this last year. There are a couple of examples of what I was doing, which was trying to spin too many plates, trying to wear too many masks here, in the roles I had with the team. For example, we were turning up for the Tour Series and I was down to race. I was trying to race as much as I could as well. I would turn up and not have any time to warm up myself. I’m looking after my riders, making sure they’ve got everything sorted and literally five minutes before the start of the race go in the circuit and I finally actually start trying to warm up myself! So, I didn’t really have that much support in terms of people I could call on, but I did have riders that were very supportive. I managed to pull in some of my friends towards the latter part of this season, to help in the Premier Calendars, which was a massive help. They are involved with the team this year as well as well as some of the 2018 riders stepping up into management roles within the team. So yeah, I was taking a lot of responsibility on. It is what it is. You know, I think we need to get across in this article that it is a big task to start a team from scratch. The involvement of the manager and the owner to that extent as well needs to be huge. It’s just a very time-consuming process. Not only with the whole organisation of it all, but also someone like me, trying to be a manager and rider as well. Did you ever worry, during last season, you’d reach burnout point? I guess you don’t quite know how much you’re taking on when you start? Yeah, it was close, because I had some bad crashes in the middle of the season as well and I wanted to get my first cat racing license. But I managed to do that in the end. So, I can look back on 2018 with a lot of pride in myself, in how I managed prop the team on my shoulders and pushed it through. In terms of my own personal development as well, I just learned a lot about myself in that process as well, my management skills and how to get the most out of my riders. It was all a learning process for me in this first year of having a team. I can take those experiences into this next year now and it’s going to certainly make me a better manager and also just a bit more resilient as well with everything. That’s a very positive outlook. I guess you wouldn’t have continued the team for a second season if you’d found it too challenging? I guess it’s always going to be challenging though, unless you’ve got a beneficiary that’s going to chuck 30 grand at you. It just doesn’t happen. So you know, it’s a challenging job doing this, and starting this, but you’ve got to keep an eye on the bigger picture, that what you’re actually doing is really good and that’s something that I have to take a step back from and look on with pride. We’re actually taking this somewhere and it’s growing at a very fast rate. I don’t know where this is going to be in another year’s time, but I’d like to think we’re still here and an even stronger position. It sounds like that for anyone wanting to set up a team, you’re left to your own devices really. You’ve got to make it all up by yourselves, and learn the lessons the hard way? You do. You definitely do and you’ve put it as it is: you learn the lessons the hard way. There is no guide on how to set up a race team, there’s no protocol. Everyone will do it differently, but what I can say is the foundations of your team need to be set before you even start doing anything. By that it means just a professional approach to running it. You’ve got to be in it for the right reasons. If you want to get into doing this for financial gain, you’re in the wrong game. That’s not on the agenda. What are the right reasons to be running a team for? Representing your sponsors to the absolute best of your ability and forging relationships that strengthen. Having a positive outlook on racing and trying to do something a little bit different, making the team your own and not trying to be a carbon copy of something else. I feel like that’s what we’ve done pretty well. Find out more about the Crimson Performance race team here.